Discipline, Grit and Never Give Up! To truly Transform your Industrial Business and Career it starts with your attitude the strength of your mind. 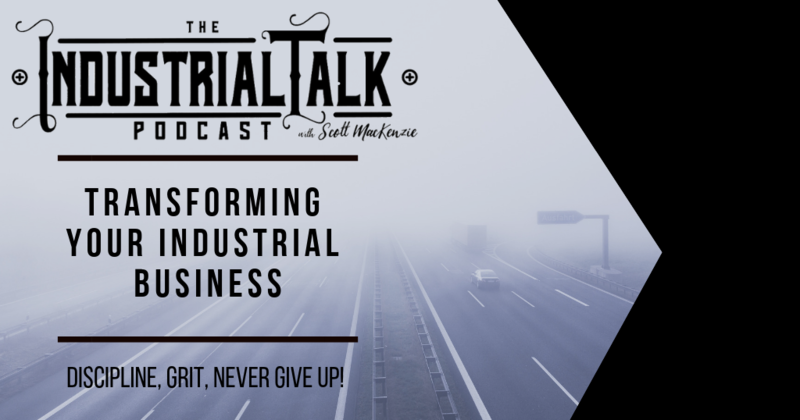 This Industrial Talk episode expands on the qualities of an Elite Athlete and discusses the need for Industrial Discipline, Grit and “Never Give Up” attitude for Industrial Success. [00:01] The industrial talk podcast GO-BIG in just six minutes a day. 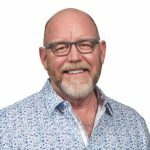 Building a legacy of success in a rapidly changing industrial market. All right, welcome to the industrial talk podcast. I hope you are having a great day. My name is Scott MacKenzie and man, am I passionate about you? The industrial professional, you, the industrial company? A hundred percent 100% of this show is dedicated to you and your legacy. So let's get going. [00:31] Okay, we're building that industrial digital toolbox, right? I keep on talking about it. I'm going to continue to talk about it until you realize you need it. And that is ActiveCampaign. That is your CRM. You need it BombBomb. That is your video communication with your customers and prospect. Bring out that human element, you need it. And then finally, Social Jukebox, important so that you could optimize and use technology to your advantage and post and communicate the content that is so important to bring out because you're the expert, you're changing the world, you are innovating, your company is doing everything I can to change the world. So you need the tools to do that. Okay? We're all about education, go to IndustrialTalk.com active and go into the Industrial Academy. You'll find courses and programs specific to you, your legacy, and as well as the Industrial Dojo where you'll find all of these podcasts because it's real important. [01:33] Anyway, let's get going. Discipline, Grit. Never get up. Okay. Yesterday we talked about What Can We Learn from Elite Athletes and so we broke it down into discipline, grit and never giving up process, intense focus. They have, they have a coach, so you need a mentor, they have a coach that is no frills, no fluff, tell it like it is. And then, um, those are the items that we talked about and that's what makes these elite athletes the success. Now of course they've got other gifts, but man, if you're a, if they're not running down those particular items, they're not going to win. And now we're going to be talking about that industrial discipline, grit and never give up, which is really important because it starts right there. You've got to have the right mindset here. Here is a story. This is from a book called Grit. [02:40] And it's the power of passion, right? The power of passion and perseverance by Angela duck worth Angela Duckworth. And what's interesting in the story, this is a, this is west point and so I'm going to go through it. 14,000 juniors per year, begin the process of applying for West Point. Now in that pool, it'll get whittled down to 4,000, right? 4,000. And then who will succeed in getting to required nomination is slightly more than half of the applicants, about 2,500. We'll meet the uh, West Point, a rigorous academic and physical standards. And then they, uh, from that only 1200 out of that original 14,000 get into west point. That is tough, that is strict, strict and strenuous and, and it's, it's all worth it. But man, it elevated my appreciation, my appreciation for those individuals that are in west point. But you know what, what was interesting, they go through this beast, uh, period. [04:02] So when you joined or get into west point, you got to go through this very rigorous process. And all of these individuals are like varsity sports captains. They are physically fit. But did you know when they go through that and the majority of them, the majority of them quit because they're going through that process of beast mode and getting up and do it this and eating this way and physic this and pushing my mental capacity to the nth degree. And, and what she whittled it down to was two things. Passion and perseverance, passion and perseverance. And so I challenge you today, you industrial professional you company out there that is providing a service that is so valuable to the marketplace. Do you have that passion, that perseverance are, are you going to give up? Are you just going to so sort of closed doors and give up or are you going to do the things that are necessary for you to continue to push forward? [05:14] You cannot, you cannot give up because were were elite industrial athletes and you need to continue to push forward and not and persevere and, and, and once again I ask, do you have that grit, that discipline to continue to push forward? And I would hear it and unfortunately I'm here to say that no, that is not the case. Many of us are complacent and we find ourselves just doing the same thing day in and day out, but it requires that level of discipline. Grit in, never give up attitude, that perseverance to take your company, your career to the next level and you doesn't stop there to the next level. So you continue to push and push hard. And I'm not saying you're going to step on people. It is a, it's a matter of constantly learning, constantly failing, getting back up from that failure and Dustin, those knees off to keep pushing. [06:24] I want to make sure that we're all on the same page here. I mean, we're going to continue to go into these tactics, but you got to get this mind white, right? Correct. You've got to do that and that means you've got to have a sense of discipline, grit, perseverance. Never give up attitude because you're in the business of changing the world through innovation. You're in the business of changing lives and I firmly believe that and I am honored to be able to be a part of that and so you don't have the luxury and I know many of you will do so y'all okay, I got this, that and the other thing. I understand all that. I want you to walk away from this particular podcast, recognizing that I need, I need me to more discipline, more grit. I can't give up, never give up. [07:17] I've got to develop greater perseverance because once I say, yeah, I'm defeated or I give up that that stops it right there. Your purpose is bold, your purpose is big and your purpose is to change the world through industrial innovation. That's what this is about. I'm proud to be a part of it. Continue discipline, grit, never give up. I'm always going to continue to harp on that. Thank you very much for joining the industrial talk podcast. I will be back tomorrow. We're going to continue to hit it because it's all about you and making you the best professional you possibly can because you are changing the world. Thank you very much. Have a wonderful day.